Done with Sony! Believe it or not, I've reviewed every Sony DSLR lens. Who knows when we'll see anything new, maybe later in the year. Of course I'll be reviewing any new lenses or interesting cameras they do come out with. In the meantime, I've got a couple of Minolta lenses to finish up on, and the Minolta 300mm F/4 coming this weekend. I may start doing some of the newer type Sigma and Tamron lenses this summer. Many people caught my flub about the Sony 300mm SSM G being a rebadged Minolta from the 1990s. I had it right in the top "brief look" section, but failed to carry that info down to the introduction area. I normally use a template of a similar review instead of building a whole new page for a new review, so in this case I forgot to change that information. Thanks to the people who wrote so I could correct it. It's just me here writing, I do the entire review from start to finish and take the pictures etc so there's bound to be a mistake here and there. I rely on you folks to catch that stuff. I've updated the "coming soon" page to include what I have planned for the coming weeks. Look for a page which lists all reviewed lenses, and a quick summation about each lens from your wonderful host. Since I've used every Sony lens now, my thoughts and alternative recommendations may have changed slightly, depending on new lenses and additional usage of a lens. Based on the popularity of the 300mm zoom and prime shoot out page, I'm going to do it again with a 200mm zoom comparison @200mm and see what happens. I'm thinking the Minolta AF 100-200mm, 70-210mm F/4, 80-200mm shutter cap, and Sony 70-200mm, which is what I have on hand now. Anyone have a Minolta AF 200mm F/2.8 to loan? Look for a tele-converter addition to that 300mm zoom page also, maybe next week. One last thing, I'm continuously updating the Lens price guide and have found prices for most lenses are trending downward, that's no surprise though right? I do see some of the more desirable Carl Zeiss and "G" stuff consistently bringing top dollar, all the more reason to buy good quality. Spend your money on lenses, not cameras. 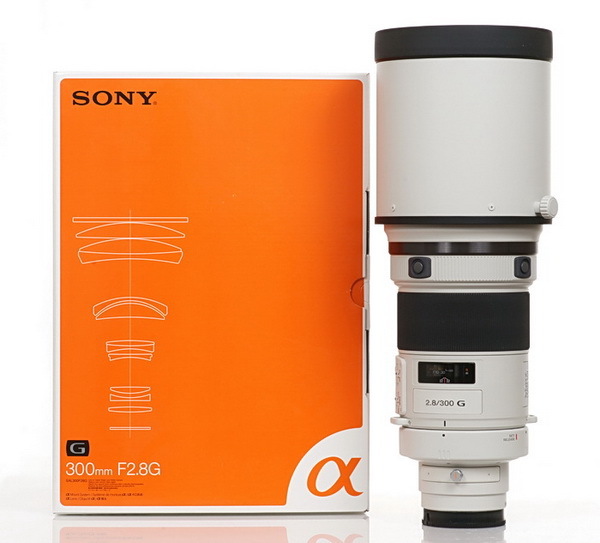 The Sony 300mm F/2.8 SSM G review is now ready. I got carried away with the product shots, so dial-up users be patient! This lens turned in an overall stellar performance, and that should come as no surprise based on the cost. You saw a small sample of what the lens is capable of if you visited this page. Sony and Minolta people with plenty of money who want the best image quality in a telephoto lens should go ahead and buy it, please get it here if you do. Chat room twits (or reviewers that take pictures of stamps) will love shooting test charts and newspapers with this lens at F/5.6, it's extremely sharp and worthy of the hype. I was able to review this lens because B&H Photo kindly allowed me to check it out with the intent of returning it, as I can't afford this lens and was upfront with them about it. I tried to get some readers to send me one, but they were somewhat reluctant, very understandable. So thanks to B&H Photo for giving me about three weeks to fondle it. Side note; cost for UPS to ship this item cross country with full insurance is well over $100. I had an RMA, but I'm just pointing out it's really expensive to ship a valuable item with full insurance. All you eBayers out there that get mad at paying $20 shipping for an expensive lens or other item; please understand sellers are probably eating most of the cost of shipping to ensure good feedback and/or a positive experience. Just for fun I added a paragraph in the first part of the review with prices for some of the accessories of the Sony 300mm SSM G lens, like the metal trunk, vinyl front cover, and the hood. Speaking of which, if you should lose the hood, you might find yourself getting a part time job to pay for a replacement, no joke! If you have no job, and a sign of the times I suppose, it would cost you roughly five or six weeks of unemployment checks! Oh no! Some people are getting confused about the Sony 20mm Focusing issue article below. I'm getting letters saying things like "that's just the same as depth of field focusing," or "that's called focus shift, and I use micro adjustments to take care of it." That's not what I was talking about in the article. Depth of field sharpening occurs when you don't have the focus set properly in the first place, or you're looking at areas of the image in front of, or behind the subject. Focus shift occurs when you have a fast lens and you're using it stopped down, all the while looking through the viewfinder for the sharpest focus, and/or trusting the AF system to do the correct focusing. I never use AF for any review or test shot sequence, because the AF systems are not accurate or reliable enough to get the absolute best focus point every time. I pick a subject, and bracket my focusing to get the sharpest shot, then go from there. Using AF micro adjustments in the case of the Sony 20mm F/2.8 lens is a mistake, unless you're only going to use it at the same aperture you adjusted it for. 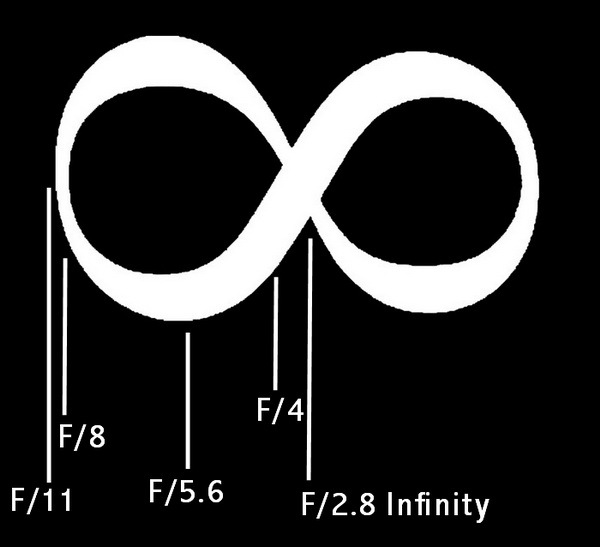 If you use another aperture, you may wind up with a bunch of worthless pictures. I warned people in the article not to try stuff like that unless they knew what they were doing. I've put a link to B&H photo for the great deal on the Sony A230 with kit lens, all for $399.95, and free shipping for most people. This would be a real cost effective backup camera for serious amateurs or anyone that gets paid to take pictures. Don't get caught with a faulty camera and have to tell the client "well gosh dang it, my camera went bad, when I get it fixed I'll come back." No you won't come back, because they'll be on the phone trying to get someone who really is competent as soon as you walk out the door. As luck would have it, I got to check out all the Sony (plus one Minolta) 300mm zooms and primes---shown below, and of course I had to do a comparison between each lens at 300mm. I used the Sony 75-300mm, Sony 70-300mm G, Sony 70-400mm G (@300mm), Sony 300mm F/2.8 G, and the Minolta AF 300mm F/4 APO G.
I used a controlled environment for this test. The entire shoot was done inside, at a distance of about 32' or 9.75m. A 3200k studio light was used for illumination of the subject, which was a large stamp against a white background. The results posted in the comp review mimic real world results at longer distances if you don't have heat shimmer or haze. I chose this distance because it was about all I could get out of my space, and it's about the same distance as you would shoot a small bird or animal at a bird feeder or zoo. I love shooting animals, but they move so darn quick! All crops were taken at the best focusing---period, done by hand. The auto-focus system was not used, and should never be used for test images because it isn't precise/reliable enough to get the absolute sharpest shots every time, especially when looking at 100% crops of 24mp images. Here are some quick observations by me; The Sony 300mm F/2.8 has better image quality at F/2.8 than the Sony 75-300mm or Sony 70-300mm G has at any aperture! Check it out. The Sony 300mm F/2.8 has incredible image quality at F/5.6, and puts all other lenses here to shame. Note; before you send hate mail, understand the two less expensive zooms are actually pretty good on their own; The reason the crops look so soft is because the others are so darn sharp. When you put 100% crops side-by-side, it's easy to notice the differences. When I was looking at them individually, I didn't notice so much difference. The lesson here is the more money you spend the better image quality you get. We go from a $200 lens to a $6300 lens, is the difference worth it to you? 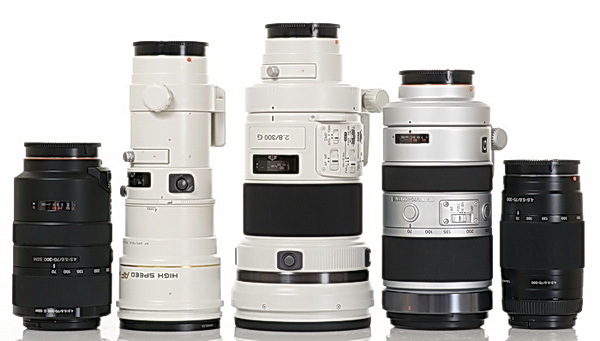 The reviews of the Sony 300mm F/2.8 SSM G and Minolta AF 300mm F/4 APO G are coming up soon. Sometimes I mention that you can "short focus" a lens to eke out a little extra sharpness, that is, by focusing in front of the subject a small amount. In this article I've chosen the Sony 20mm F/2.8 because it shows the most gains by doing this than any other lens I've tested so far. The amount of sharpness gain depends on the aperture. It's worth doing if you don't mind taking some time and experimenting on your own. The usual caveat is; if you don't pay attention and are sloppy in applying this focusing method, you'll wind up with a blurry, or totally ruined shot! However, it is worth trying, and may be especially useful for landscape shooters. The article called "short focus for sharper shots" has some center crops taken at infinity focus on the left, and on the right the short focused crop showing any improvement. The image below is only for the Sony 20mm F/2.8 lens, and shows an alternate focus point for each aperture listed, and where the sharpest image results for that particular aperture, got it? I wasted another part of my busy day to try and stop the incessant sob stories by non-believers of some results from this comp review, also see the 1/5/10 homepage entry. Below are yet more crops between the Tamron and Sony 28-75mm lenses at 75mm, from the centers. I did this seventh, (or eighth? ), and believe me(!) final comparison as a peace offering to the few cry babies out there who couldn't accept the multiple comps I provided at 75mm. The source of anger was that the Tamron was sharper than the Sony at wide apertures when zoomed to the long end, like 75mm. The unknowledgeable people tried to claim I waited too long between doing the test shots, resulting in an unfair advantage for the Tamron because of shadow detail at the pixel level coming from the house block mortar joints with the sun at a higher angle etc. So, I corrected the time issue as much as possible, and made sure the exposures looked the same. The elapsed time for the test shots below came to 00:05:42 from the first shot of the Sony to the last shot of the Tamron. I also show in the crops the subject (transformer, light) and the distant background so you can tell I focused both properly, and didn't rely on DOF to sharpen things up. This time I didn't use a white subject (like the house), which highlighted the Sony axial color fringing at wide apertures, but still slightly visible in the Sony shot below. I guess the results here (again) validate my original tests, and show the great care I take in making sure everything is right before I post the review. Here are just two crops at F/2.8 and 75mm. You can see the Sony has some magenta fringing along the power lines and at the bottom edge of the light fixture. The foliage in the background is sharper in the Tamron shot. Go to the original comparison review and scroll down to the very bottom to see the newest, and last of my Tamron/Sony 75mm standard side-by-side crops.